South Carolina festivals and events – Here’s your complete list of all the top South Carolina festivals in 2018. Your not to miss events in the greatest state in the land! SC festivals and events in SC this winter December, January and February in 2018. Here is your complete list of the best South Carolina festivals of 2018! Top festivals and events forSC in July. The top South Carolina festivals and events this summer. Lexington County Peach Festival in Gilbert, SC is a unforgettable festival you don’t want to miss today. North Charleston 4th of July Festival in North Charleston, SC is a great celebration you don’t want to miss today. Roper Mountain Living History Farm Blueberry Festival in Greenville, SC is a amazing celebration you don’t want to miss today. Charleston Caribbean Jerk Festival in Charleston, SC is a unforgettable festival you don’t want to miss today. Charleston Reggae Nights in Charleston, SC is a unforgettable art festival you don’t want to miss today. Pageland Watermelon Festival in Pageland, SC is a unbelievable celebration you don’t want to miss today. Sol Slam Music Festival in Isle of Palms, SC is a unbelievable festival you don’t want to miss today. Bubble RUN in Columbia, SC is a great culture festival you don’t want to miss today. South Carolina Peach Festival in Gaffney, SC is a unbelievable festival you don’t want to miss today. Repticon Reptile and Exotic Animal Convention in Columbia, SC is a unbelievable culture festival you don’t want to miss today. With 31 years in the making, Summerfest has enhanced its already amazing selection of activities for family fun. 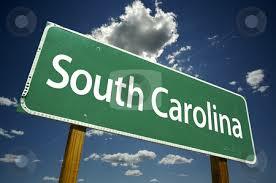 Held in beautiful S.C.! All bikers, cars and trucks are welcome, plus diner and music – benefits Berkeley Citizens, Inc.
17-day celebration of the arts includes live performances, exhibits, kids’ activities, and more! Hip, hip, hooray for dads! 3-day festival features BBQ, blues and more! Second Pocotaligo Point South Festival – The Second Pocotaligo Point South Festival is a great event held in Yemassee on September 01, 2018 to September 03, 2018. Beach Boogie and BBQ Festival – The Beach Boogie and BBQ Festival is a great event held in Myrtle Beach on September 02, 2018 to September 03, 2018. Lands End Woodland River Festival – The Lands End Woodland River Festival is a great event held in Saint Helena Island on September 02, 2018 to September 03, 2018. Star Spangled Labor Day Celebration – The Star Spangled Labor Day Celebration is a great event held in Marion on September 02, 2018 to September 05, 2018. Dacusville Farm Show – The Dacusville Farm Show is a great event held in Easley on September 03, 2018 to September 04, 2018. Chapin Labor Day Festival – The Chapin Labor Day Festival is a great event held in Chapin on September 03, 2018 to September 05, 2018. Bacon Labor Day – The Bacon Labor Day is a great event held in Simpsonville on September 04, 2018 to September 05, 2018. South Carolina Apple Festival – The South Carolina Apple Festival is a great event held in Westminster on September 09, 2018 to September 10, 2018. Uniquely Union Festival – The Uniquely Union Festival is a great event held in Union on September 09, 2018 to September 10, 2018. Aiken’s Makin’ – The Aiken’s Makin’ is a great event held in Aiken on September 09, 2018 to September 10, 2018. 43 Mile Big Grab Yard Sale – The 43 Mile Big Grab Yard Sale is a great event held in Winnsboro on September 09, 2018 to September 10, 2018. Dog Daze of Woodruff and Chili Crawl – The Dog Daze of Woodruff and Chili Crawl is a great event held in Woodruff on September 10, 2018 to September 11, 2018. Hardeeville Catfish Festival – The Hardeeville Catfish Festival is a great event held in Hardeeville on September 16, 2018 to September 17, 2018. Pamplico Cypress Festival – The Pamplico Cypress Festival is a great event held in Pamplico on September 16, 2018 to September 17, 2018. Spartoberfest – The Spartoberfest is a great event held in Spartanburg on September 16, 2018 to September 17, 2018. Southern Home and Garden Show – The Southern Home and Garden Show is a great event held in Greenville on September 16, 2018 to September 18, 2018. Farm Fresh Fair – The Farm Fresh Fair is a great event held in Fountain Inn on September 17, 2018 to September 18, 2018. Repticon Charleston Reptile and Exotic Animal Show – The Repticon Charleston Reptile and Exotic Animal Show is a great event held in Ladson on September 17, 2018 to September 18, 2018. Euphoria – The Euphoria is a great event held in Greenville on September 22, 2018 to September 25, 2018. South Carolina Tobacco Festival – The South Carolina Tobacco Festival is a great event held in Lake City on September 22, 2018 to September 25, 2018. Okra Strut Festival – The Okra Strut Festival is a great event held in Irmo on September 23, 2018 to September 24, 2018. Atalaya Arts and Crafts Festival – The Atalaya Arts and Crafts Festival is a great event held in Murrells Inlet on September 23, 2018 to September 25, 2018. Belton Standpipe Festival Juried Art Show – The Belton Standpipe Festival Juried Art Show is a great event held in Belton on September 23, 2018 to October 08, 2018. Fourth Art in Common Fall Festival – The Fourth Art in Common Fall Festival is a great event held in Myrtle Beach on September 24, 2018 to September 25, 2018. Pawleys Island Festival of Music and Art – The Pawleys Island Festival of Music and Art is a great event held in Pawleys Island on September 24, 2018 to October 09, 2018. Sumter County Fair – The Sumter County Fair is a great event held in Sumter on September 27, 2018 to October 02, 2018. Gopher Hill Festival – The Gopher Hill Festival is a great event held in Ridgeland on September 29, 2018 to October 01, 2018. MOJA Arts Festival – The MOJA Arts Festival is a great event held in Charleston on September 29, 2018 to October 09, 2018. Rock Around the Clock Festival – The Rock Around the Clock Festival is a great event held in Winnsboro on September 30, 2018 to October 01, 2018. Beaufort Shrimp Festival – The Beaufort Shrimp Festival is a great event held in Beaufort on September 30, 2018 to October 01, 2018. Squealin’ on the Square – The Squealin’ on the Square is a great event held in Laurens on September 30, 2018 to October 01, 2018. Bonneau Peanut Festival – The Bonneau Peanut Festival is a great event held in Bonneau on September 30, 2018 to October 01, 2018. Fall Plant and Flower Festival – The Fall Plant and Flower Festival is a great event held in Florence on September 30, 2018 to October 02, 2018. Pawleys Island, South Carolina at Litchfield Plantation. It’s coming! On October 1st the Fifth Annual South Carolina Foothills Heritage Fair will open on Hwy. 123, and run through. The annual Historic Bluffton arts Crafts and Seafood Festival will be held in the elegant and eclectic historic district of Bluffton. The HILLairty Festival has been a fixture in historic downtown Chester, South Carolina for over 20 years every third weekend in October. Here are all your top November events in South Carolina and top things to do. Top Events and festivals this Christmas season in South Carolina. Some of the best events this year..
Festival will be held on Jan 18th, 2018. Beer festivals that rock! Here are all the greatest things to do in South Carolina this March. Top county fairs, music festivals, and much more. Hilton Head Island Wine and Food Festival – will be held at Harbour Town in Hilton Head Island, SC and held on March 8, 2018 to March 10, 2018. Carolina Classic Home and Garden Show – will be held at SC State Fairgrounds in Columbia, SC and held on March 9, 2018 to March 11, 2018. Shuckin’ in the Park – will be held at Old Santee Canal Park in Moncks Corner, SC and held on March 10, 2018. Canadian American Days Festival – will be held at Grand Strand in Myrtle Beach, SC and held on March 10, 2018 to March 18, 2018. Hilton Head Island Saint Patrick’s Day Parade – will be held at Downtown in Hilton Head Island, SC and held on March 11, 2018. Piedmont Natural Gas Downtown Alive – will be held at North Main Street in Greenville, SC and held on March 15, 2018 to August 30, 2018. Newberry Irish Fling – will be held at Downtown in Newberry, SC and held on March 16, 2018. Greenville Heritage Main Street Fridays – will be held at Downtown in Greenville, SC and held on March 16, 2018 to September 28, 2018. Saint Patrick’s Day Festival – will be held at Downtown in Clover, SC and held on March 17, 2018. Saint Pat’s in Five Point – will be held at Five Point Area in Columbia, SC and held on March 17, 2018. Saint Patrick’s Day Parade and Festival – will be held at Downtown in North Myrtle Beach, SC and held on March 17, 2018. Daffodil Art and Craft Show – will be held at American Legion Building in Sumter, SC and held on March 17, 2018 to March 18, 2018. Morris College Fine Arts Festival – will be held at Morris College Campus in Sumter, SC and held on March 19, 2018 to March 23, 2018. Columbia Model Train Show – will be held at Jamil Shrine Club in Columbia, SC and held on March 24, 2018. Florence Spring Fair – will be held at Florence Center in Florence, SC and held on March 29, 2018 to April 8, 2018. Governor’s Frog Jump – will be held at Frog Jump Park in Springfield, SC and held on March 30, 2018 to March 31, 2018. The annual BBandT Charleston Wine + Festival is a celebration of Charleston’s culinary excellence and renowned culture, which benefits scholarship. Event will be held on March 8th, 2018.. The Hilton Head Wine and Festival has announced the dates for the 29th festival. The Festival will be held from. The Florence Civic Center is proud to present the Palmetto Women’s Show in 2018, sponsored by McLeod Health. Join us in. The St. Patrick’s Day Parade is the largest parade on the Grand Strand with over 100 parade entries and a history. The festival will feature live Irish/Celtic music by Michael Federal and Friends and Celtic rock band Stirling Bridge, Irish dancers from. Inspired by the rich historical, architectural and cultural heritage of Charleston, the annual Charleston Antiques Show is a premier destination for. The Battle of Charleston is held on 250 beautiful, unspoiled acres owned by the Legare family since the 1700’s. Located on. Southern Plant and Flower Festival will be held on April 3-6, 2018. Hours: Thursday – Saturday 8 a.m. – 6 p.m..
Everybody is invited to attend the annual Town of St. Stephen Catfish Festival on April 4, 5 and 6. Festival is. The Summerville Family YMCA is proud of its award-winning fundraiser – the Flowertown Festival. The YMCA, with the help of the. HISTORIC PENDLETON SPRING JUBILEE began in 1978 as a means to inaugurate tourism in Anderson, Oconee and Pickens Counties. It has. Bringing Louisiana to the Lowcountry, Lowcountry CaJune Festival is a full-day of Zydeco music, CaJune and Creole foods, children’s activities and. Midlands Fall Plant and Flower Festival will be held at SC State Farmers Market, West Columbia on April 10-13, 2018..
Immerse yourself in a full weekend of the history, technique, hands-on experience, and fun of canoeing and kayaking. The East Coast. Local and regional artists are featured presenting paintings, jewelry, pottery, beach memories, glass, fabrics and sculpture for purchase at very reasonable. Spring, with its warming days encouraging trees to bud and flowers to grace the landscape, is always a reason to celebrate,. Come to the Fair to find out more and see the great artwork available! Olde Towne and its friends and supporters. The Colleton County Rice Festival in Walterboro, South Carolina is an annual three day event featuring arts and crafts, food, fireworks,. The Market at Historic Honey Horn, a juried fine art and craft show, is set for April 26 and 27,. Dillon hosts “Dillon County Celebrates Main Street,” a two-day family-oriented event featuring street dances with music by big-name bands, cook-off contests,. Event will be held on April 26th, 2018. Charleston Cinco de Mayo Festival in Charleston, SC is a unbelievable festival you don’t want to miss today. Charleston Dragon Boat Festival in Charleston, SC is a unforgettable culture festival you don’t want to miss today. Foothills Family Resources Strawberry Festival in Slater-Marietta, SC is a unbelievable food festival you don’t want to miss today. North Charleston Arts Fest in North Charleston, SC is a unforgettable art festival you don’t want to miss today. Abbeville Spring Festival On The Square in Abbeville, SC is a unforgettable art festival you don’t want to miss today. Black Cowboy Man Or Myth Festival in Rembert, SC is a unbelievable fair you don’t want to miss today. Piedmont Plant and Flower Festival in Greenville, SC is a amazing festival you don’t want to miss today. Allendale County Cooterfest in Allendale, SC is a unbelievable festival you don’t want to miss today. Art League of Hilton Head’s National Juried Biennial in Hilton Head Island, SC is a unbelievable food festival you don’t want to miss today. Art on the Ridge in Ridgeway, SC is a great celebration you don’t want to miss today. Eastover Parade and Barbecue Festival in Eastover, SC is a unforgettable food festival you don’t want to miss today. Greer Family Fest in Greer, SC is a unbelievable music festival you don’t want to miss today. Hog on the Hill BBQ Cook Off in Chester, SC is a unbelievable music festival you don’t want to miss today. Mayberry Festival in Westminster, SC is a unforgettable fair you don’t want to miss today. Mayfest Art of Living in Walhalla, SC is a amazing celebration you don’t want to miss today. McColl Mayfest in Mccoll, SC is a unbelievable fest you don’t want to miss today. Orangeburg Festival of Roses in Orangeburg, SC is a amazing fair you don’t want to miss today. Taste of Beaufort Arts and Seafood Festival in Beaufort, SC is a unbelievable fair you don’t want to miss today. Blessing of the Inlet Sound in Murrells Inlet, SC is a unbelievable food festival you don’t want to miss today. Daffodil Art and Craft Show in Sumter, SC is a amazing music festival you don’t want to miss today. Hell Hole Swamp Festival in Jamestown, SC is a amazing fest you don’t want to miss today. Johnston Peach Blossom Festival in Johnston, SC is a amazing celebration you don’t want to miss today. Lowcountry Shrimp Festival and Blessing of the Fleet in Mcclellanville, SC is a great festival you don’t want to miss today. Prosperity’s Hoppin’ in Prosperity, SC is a unbelievable celebration you don’t want to miss today. River Jamboree in Coward, SC is a amazing fest you don’t want to miss today. Rivertown Music and Craft Beer Festival in Conway, SC is a unbelievable culture festival you don’t want to miss today. Rosewood Crawfish Festival in Columbia, SC is a amazing food festival you don’t want to miss today. Strawberry Festival in Woodruff, SC is a great festival you don’t want to miss today. Art Walk in Georgetown, SC is a unforgettable fair you don’t want to miss today. South Carolina Poultry Festival in Batesburg-Leesville, SC is a amazing art festival you don’t want to miss today. Aiken Bluegrass Festival in Aiken, SC is a amazing festival you don’t want to miss today. Artisphere in Greenville, SC is a unbelievable fest you don’t want to miss today. Charleston Greek Fest in Charleston, SC is a unbelievable culture festival you don’t want to miss today. Charleston Greek Festival in Charleston, SC is a unbelievable festival you don’t want to miss today. Edisto Natchez-Kusso Tribe Pow Wow in Ridgeville, SC is a unbelievable fair you don’t want to miss today. Myrtle Beach Bike Week in Myrtle Beach, SC is a amazing culture festival you don’t want to miss today. Bluffton Village Festival in Bluffton, SC is a great art festival you don’t want to miss today. Mayfest on Main in North Myrtle Beach, SC is a amazing art festival you don’t want to miss today. Wings and Wheels Air Festival in Winnsboro, SC is a unforgettable festival you don’t want to miss today. Black Expo South in Columbia, SC is a unforgettable festival you don’t want to miss today. Myrtle Beach Harley-Davidson Cruisin’ The Coast Scenic Rally Ride in North Myrtle Beach, SC is a great music festival you don’t want to miss today. Spring Rat Hole Rodeo and Motorcycle Rally in Myrtle Beach, SC is a great culture festival you don’t want to miss today. Pinestraw Festival in Patrick, SC is a unforgettable fair you don’t want to miss today. Wagons To Wagener Festival in Wagener, SC is a amazing culture festival you don’t want to miss today. Wagons to Wagener in Wagener, SC is a amazing culture festival you don’t want to miss today. Birdfest in Pinewood, SC is a unbelievable fair you don’t want to miss today. Crimson Screen Horror Film Fest in Charleston, SC is a great food festival you don’t want to miss today. Johnsonville Heritage Festival in Johnsonville, SC is a amazing art festival you don’t want to miss today. Red Rose Festival in Lancaster, SC is a amazing fair you don’t want to miss today. Tall Ships Charleston in North Charleston, SC is a amazing fest you don’t want to miss today. Taste of Newberry in Newberry, SC is a unforgettable culture festival you don’t want to miss today. XCON World in Myrtle Beach, SC is a unbelievable music festival you don’t want to miss today. Columbia Black Expo in Columbia, SC is a amazing festival you don’t want to miss today. Marion Foxtrot Festival in Marion, SC is a great culture festival you don’t want to miss today. Third Saturday of May Craft Show at Bi-Lo in Mount Pleasant, SC is a unforgettable festival you don’t want to miss today. World Famous Blue Crab Festival in Little River, SC is a unbelievable food festival you don’t want to miss today. Plum Hollow Alternative Bluegrass Festival in Campobello, SC is a amazing music festival you don’t want to miss today. Original Gullah Festival in Beaufort, SC is a unbelievable culture festival you don’t want to miss today. Arts Council of York County Prohibition Party in Rock Hill, SC is a amazing festival you don’t want to miss today. First Flush Festival in Wadmalaw Island, SC is a unforgettable festival you don’t want to miss today. North Charleston Arts Festival in North Charleston, SC is a unbelievable fest you don’t want to miss today. Fiesta-val Invitational Music Festival in Myrtle Beach, SC is a unforgettable festival you don’t want to miss today. South Carolina Strawberry Festival in Fort Mill, SC is a great fair you don’t want to miss today. If you love BBQ and music, you have to be in Chester for the annual Hog on the Hill BBQ bash. The Chattooga River Festival is a music and arts festival that will rock you like a hurricane. Kickoff your summer in North Myrtle Beach during the month of May. The annual Mayfest on Main festival will feature the best of the rest! South Carolina Festival of Flowers in Greenwood, SC is a unforgettable festival you don’t want to miss today. Hampton County Watermelon Festival in Hampton, SC is a unbelievable food festival you don’t want to miss today. Ridge Peach Festival in Trenton, SC is a amazing festival you don’t want to miss today. Charleston Carifest Caribbean Carnival in Charleston, SC is a amazing festival you don’t want to miss today. Charleston Reggae Nights in Charleston, SC is a unforgettable festival you don’t want to miss today. Richland Blues Berries and BBQ Festival in Columbia, SC is a unbelievable food festival you don’t want to miss today. Richland Music Festival in Columbia, SC is a unbelievable festival you don’t want to miss today. York County Heritage Quilt Trail in Rock Hill, SC is a unforgettable celebration you don’t want to miss today. Ag + Art Tour in York, SC is a great fair you don’t want to miss today. Carolina Country Music Festival in Myrtle Beach, SC is a amazing culture festival you don’t want to miss today. Cotopaxi Questival Adventure Race in Charleston, SC is a amazing fair you don’t want to miss today. Festival highlights: Lake Warren State Park Family Fun Day, Youth Parade, Pet Show, Mud Run, Watermelon Eating Contest, Watermelon Judging Contest,. Piccolo Spoleto Crafts Show-Second Weekend in Charleston, SC is a amazing art festival you don’t want to miss today. Reggae Nights in Charleston, SC is a amazing fair you don’t want to miss today. South Carolina Festival of Flowers in Greenwood, SC is a great culture festival you don’t want to miss today. 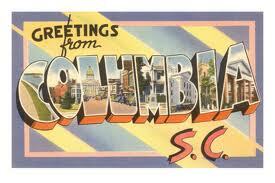 Columbia Summer Concert Series in Columbia, SC is a great music festival you don’t want to miss today. South Carolina Carnival in Hopkins, SC is a amazing food festival you don’t want to miss today. Sweetgrass Cultural Arts Festival in Mount Pleasant, SC is a amazing festival you don’t want to miss today. Carolina Country Music Festival in Myrtle Beach, SC is a great culture festival you don’t want to miss today. Party in the Pines Festival in Whitmire, SC is a amazing art festival you don’t want to miss today. Authors Under the Live Oaks in Yemassee, SC is a great art festival you don’t want to miss today. Cowpens Mighty Moo Festival in Cowpens, SC is a amazing fair you don’t want to miss today. Hampton County Watermelon Festival in Hampton, SC is a unforgettable art festival you don’t want to miss today. Ridge Peach Festival in Trenton, SC is a amazing fest you don’t want to miss today. Third Saturday of June Craft Show at Bi-Lo in Mount Pleasant, SC is a amazing food festival you don’t want to miss today. Reggae Nights 2 in Charleston, SC is a amazing food festival you don’t want to miss today. Finally Friday! – June in Lancaster, SC is a amazing art festival you don’t want to miss today. Art in the Park – June in Myrtle Beach, SC is a unbelievable culture festival you don’t want to miss today. Italian Festival in Myrtle Beach, SC is a unbelievable food festival you don’t want to miss today. 12 Responses to "Top South Carolina festivals and events for 2018 to 2019"
“It’s A Green Thing” Festival is an event bringing companies that care about how they do business to the forefront. Our goal is to help people seeking for environmentally conscious choices connect with large and small businesses, artisans, and farmers who make sustainability a priority. We look forward to working with the community to raise awareness and promote positive business growth. “It’s A Green Thing” Festival is free and open to the public. Join us for an educational and fun-filled event here in the CSRA. Many interactive workshops, plus an exciting Eco-Kids Zone, will fill our two-day event with opportunities for everyone to have a great time. People from all walks of life will experience products, food, and talks centered on smart, responsible options. Our exhibitors show a commitment to sustainable business practices in a wide range of areas, including: Green Building, Hugelkultur, Wind & Solar Energy, Recycling & Upcycling, Transportation Solutions, Reducing Carbon Footprints, and lots more. If you’re interested in helping out, please let us know. We’d love to hear from you. Send your email with contact information to frances@greenthing.biz. Make “Green Thing Volunteer” the subject and let us know a little about you. Lunch will be provided to all volunteers on the day of their shift, as well as our official T-shirts. Euphoria festival will be held in Greenville, South Carolina. AutumnFest at the Market in Greenville South Carolina. Great festivals, hot girls! South Carolina Strawberry festival information and dates and times. Pendleton Spring Jubilee 2015 – The Village Green in downtown Pendleton, SC will be bustling April 4th and 5th with visitors from across the country and around the world. Top of the world, Top of the food chain is this years theme! Sebga Bluegrass Fall festival will be held at County Park Rd. in Coward, South Carolina, 29530. HISTORIC PENDLETON SPRING JUBILEE began in 1978 as a means to inaugurate tourism in Anderson, Oconee and Pickens Counties. It has become so much more – a rite of spring, award-winning event, premier festival of the upstate and a source of pride in the community. Over 300 artisans vie for the coveted 100 spaces. Local and regional entertainers fill the air with music. Due to the festival’s reputation for consistency and quality, thousands of people pour into historic Pendleton the first weekend in April. As patrons look at unique, one-of-a-kind arts and crafts from around the country, live entertainment fills the air with music and local food vendors tempt you with smells of delicious foods.